South Korea’s Ministry of Unification said today that the chances of North Korean military’s top political officer Choe Ryong Hae being purged are low, even though he has stepped down. MOU spokesperson Kim Eui-do told reporters at a briefing today that seeing as with other figures such as Ri Yong Ho or Jang Song Thaek, there was an accompanying DPRK news report about the change, but since there was no official announcement about Choe, the likelihood of a purge is low. Kim added that it has been confirmed that Choe has health problems, but that it was difficult to say if he was removed because of them. 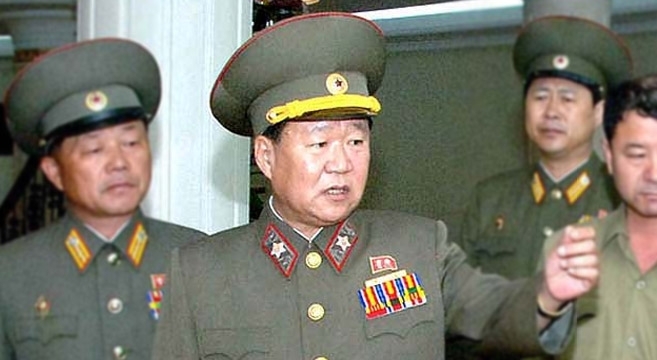 North Korea’s state-run Korea Central News Agency (KCNA) issued a report on Friday identifying Hwang Pyong So, confidant of North Korean leader Kim Jong Un, as the military’s top political officer. Hwang’s appointment was confirmed in a speech he delivered at a banquet in Pyongyang on Thursday marking May Day, according to KCNA. The move came just five days after Hwang was promoted to a vice marshal, the second-highest functioning military rank in the North. Subscribe to read the remaining 191 words of this article.